With all the sneaker craze that is going on in this generation – like Off-White and Yeezy constantly pumping out futuristic-looking shoes for hypebeasts and hypebaes alike – there is one type of pair of sneakers that stands the test of time and is still the choice among fashion enthusiasts. And that is the white sneaker. It might sound minimalistic, but a good pair of white sneakers goes with every single outfit you own in your wardrobe. Even to a point where it is acceptable to wear them in a suit. It is so versatile that literally anyone can wear it and will instantly look good in it. While there are many kinds of white shoes out there, here are some that have been around for years and are accessible to all. 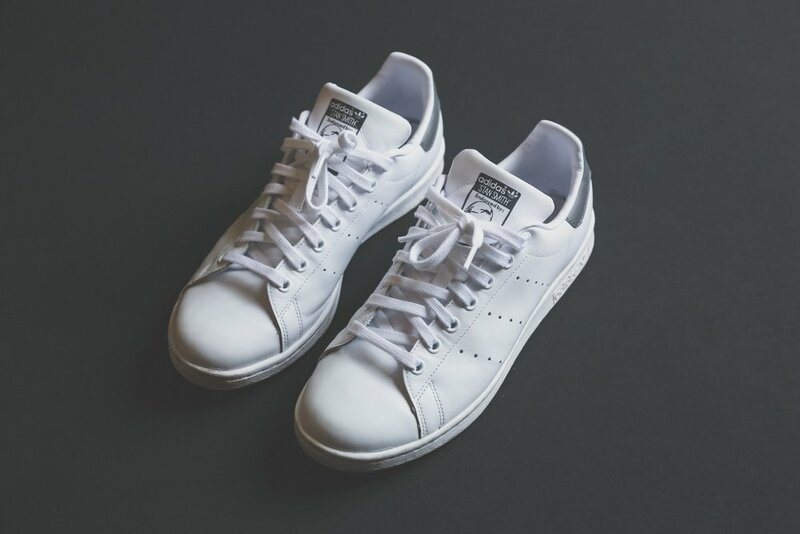 Inspired by the tennis icon, the Adidas Stan Smith is one of the most famous pair of Adidas shoes until this day. What started in 1972 at a tennis court has now become the go-to pair of white shoes due to its minimalistic design. It also helps that it is made out of leather which makes things professional and sleek, perfect to be worn even on a date at a fancy restaurant. At this point, Converse is probably universal accepted by everybody across the globe. It is simple yet maintaining a unique design, cool-looking and professional at the same time; everything is just right with a Converse Chuck 70. This pair is launched in 2013 and is actually inspired by the original All Stars that came out between the ‘60s and ‘70s. It comes in low and high tops but both work with everything you have in your wardrobe. The Adidas – Nike rivalry does not stop and will never ever stop anytime soon. While we mentioned the Adidas Stan Smith previously to be one of our favourites, on Nike’s side however, we are going with the Air Jordan 1. 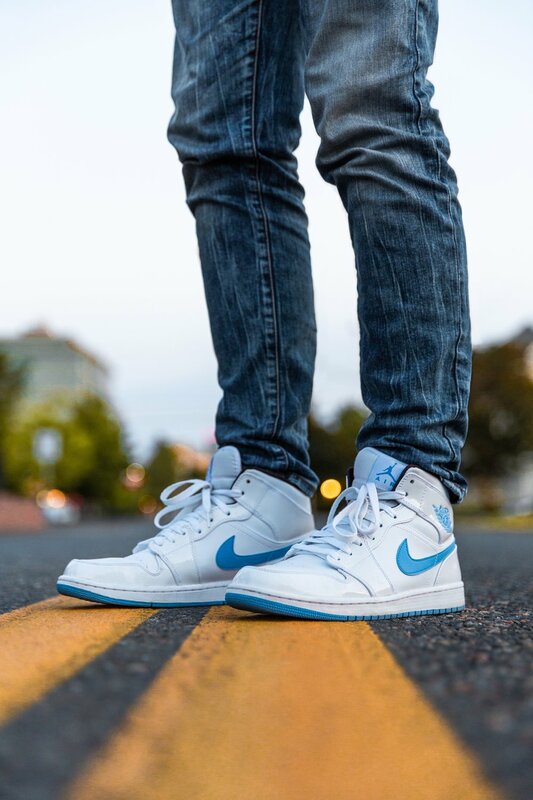 Produced by legendary basketball player Michael Jordan himself in 1984, the Air Jordan 1 was said to be an homage for his team at the time, the Chicago Bulls, with red, black, and white being the colourway of the shoe. However, its white versions of it is a much cleaner colour and is our favourite. Vans is synonymous to skating and it shows in its flat sole which is suitable for properly gripping the board. But as time goes by and fashion slowly evolving, Vans is now worn by everybody and is commonly accepted. Whether you are not into the extreme sport, the Vans Canvas Old Skool looks good in everything you wear that gives off a cool skater feel but at the same time accessible to others. A pair of white sneakers is important in fashion. It compliments your outfit thus making it look complete. Sure, there are other shoes in colour that looks cooler than a plain white one, but you need to have at least one pair ready in your shoe collection at all times. Do you have any white shoes? Which one is your favourite? Share with us at the comments section below.